Please subscribe to our Youtube channel - your subscription will help us grow further. To watch our videos in HD quality, please select '720p HD' from the Youtube settings button at the bottom right of the video. You may also register for the monthly newsletter of Etihas video magazine by sending us an email. Kindly note: Ektara.org is different from other groups by similar names such as Ektaraindia.in, Ek tara, Ektara Collective and Ektara foundation etc. We launched out activities and products in 2003.
who is hacked to death by the slayer in one attack. you have no right to use a sword on someone's neck. You're proud of killing hundreds of your enemies in a battle? We'd consider you a real man if you bring a dead one alive! Welcome to Ektara, an online platform of shared history, society and culture of India and South Asia. We hope our video stories and interviews will entertain and inspire you, and arouse your appetite for more about our rich and diverse pasts. Ektara magazine comes out once every two months. We need your support to keep it running. We even invite your contributions for its content. How did the humans learn to count? Where did the numbers come from? Who invented zero and negative numbers? How did people in ancient India, Babylonia, Egypt, Greece and China develop principles of arithmetic and geometry. This award-winning documentary film looks at some concepts like the number system, Pythagoras theorem and proof in mathematics. Tasveer Ghar announces two new visual essays as part of its ongoing project ‘Manly Matters’ about the iconographies of the masculine in South Asian visual culture. "Before I die, I want to go back to where I was born." Krishan Kumar Khanna grew up just outside Lahore, Pakistan's second-largest city. After a childhood he remembers fondly, his life changed dramatically in August 1947. A video from Al-Jazeera. (a) Artists Unite, Delhi - Chalo Laal Qila! 2-3 March 2019.
available now to order in India/South Asia and the rest of the world. 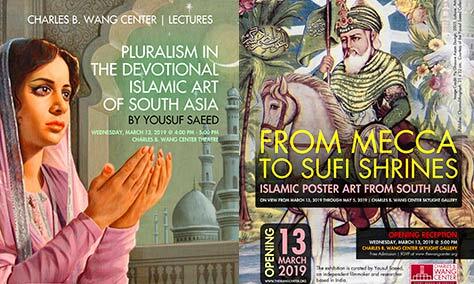 at NYU, New York, 8th March 2019.